Eau Claire is a small, scenic river town in west-central Wisconsin. Located at the confluence of the Eau Claire and Chippewa Rivers, the town of nearly 69,000 residents is rather eclectic. Think Midwest indie town. Why? There’s a thriving music, art and culinary community. You’ll also find unique start-up businesses, and recreational activities for all ages. Locals liken Eau Claire to a young Austin or mini Portland. With such diverse offerings, families will find many fun things to do in Eau Claire with kids. The Eau Claire and Chippewa Rivers meander lazily through Eau Claire, a laid-back river town in west-central Wisconsin. 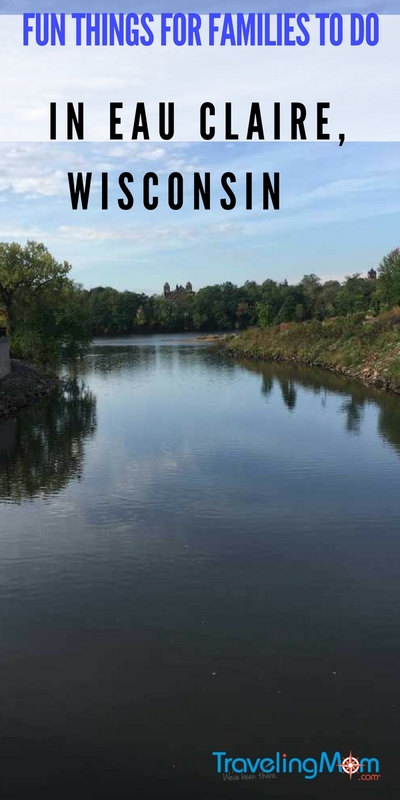 This was my third visit to Wisconsin, but my first to Eau Claire, one of many river and lake towns. My first impression of Eau Claire was that its residents are friendly, creative and outdoor enthusiasts. I arrived in the evening with a group of journalists. So it wasn’t until the next morning that I saw that Eau Claire is also very pretty. Bridges, waterways, parks and outdoor art adorn Eau Claire (clear water in French). Visiting families will find plenty of indoor and outdoor things to do in Eau Claire with kids. For example, ride fat tire bikes or take an art class. Be sure to chat up the friendly locals. While walking through downtown, I met Julie Pangallo, executive director of the sculpture tour in Eau Claire. I commented on the town’s friendliness. Her reply? “Nothing bad ever happens here. I guess we haven’t been hardened,” says Pangallo. 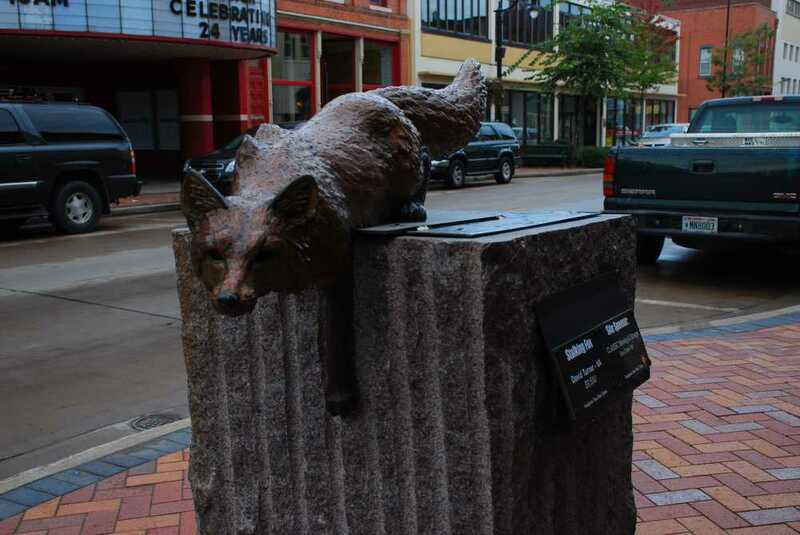 Whimsical art makes the downtown Sculpture Tour among fun things to do in Eau Claire with kids. Photo Credit: Los Angeles TravelingMom, Mimi Slawoff. The free, downtown walking tour is among fun things to do in Eau Claire with kids. It’s also a good way to get your bearings. Along the way, you’ll pass restaurants, parks and the Children’s Museum of Eau Claire. The sculptures are owned by the artists who created them. On display for 11 months, new sculptures are exhibited each May. 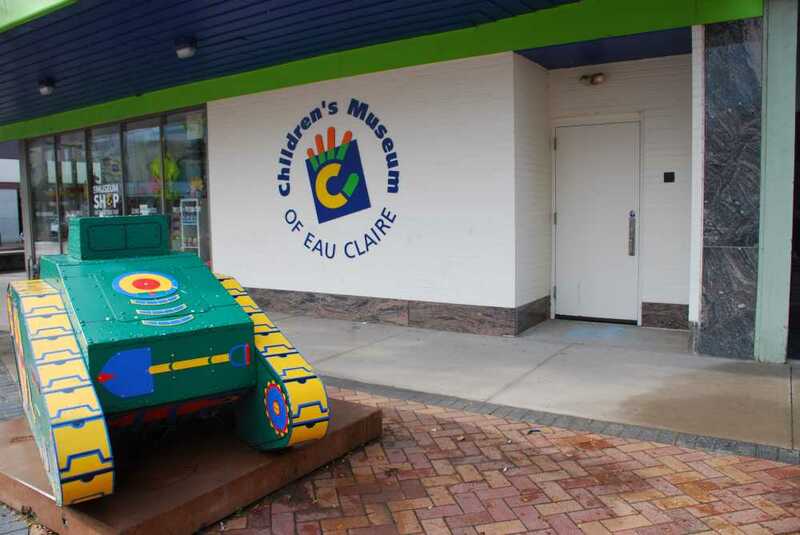 Located in downtown, the Children’s Museum of Eau Claire has three floors jam-packed with interactive, hands-on exhibits. These include body smarts, bitty city, water works, show business and under Wisconsin skies. In addition, the museum offers various programs. The museum’s planetarium shows and science classes for preschoolers are among things to do in Eau Claire with kids. Allow several hours to play at this massive facility. It’s definitely among the most entertaining things to do in Eau Claire with kids. 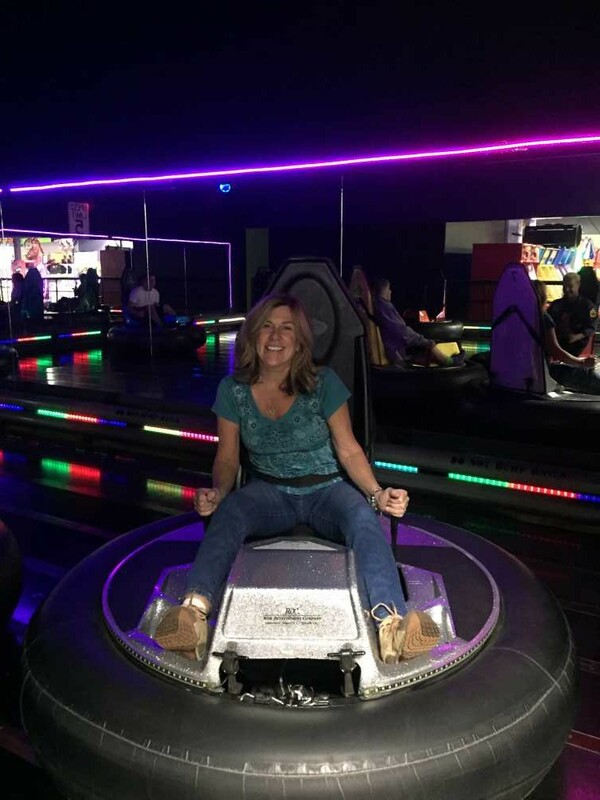 There’s a trampoline park, indoor go-karts, laser tag, bumper cars, and mini golf. The seasonal, outdoor zipline ride will take your breath away. The double-seat ride zips 700 feet backward and leaves you dangling at 130 feet high. Then suddenly you are whisked back down. Want to play and stay? 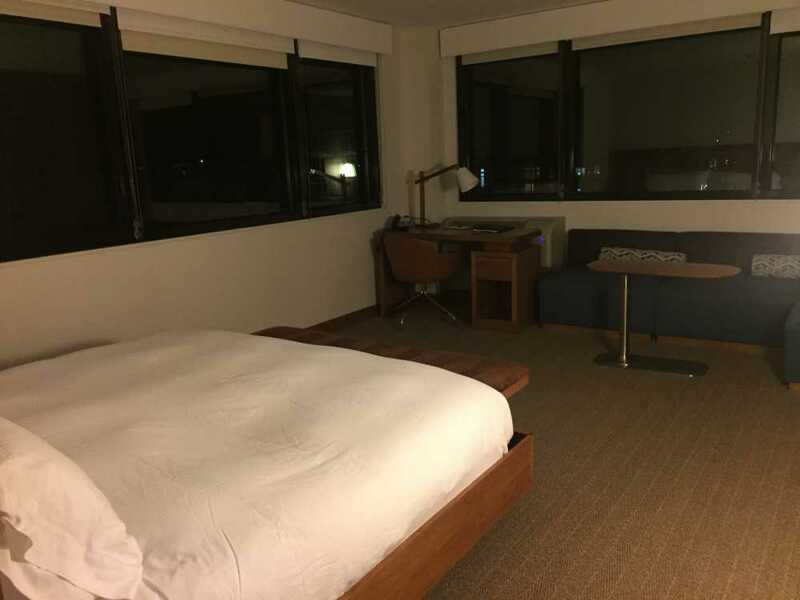 The onsite Metropolis Resort has 107 hotel rooms and the Midwest’s only indoor water park. 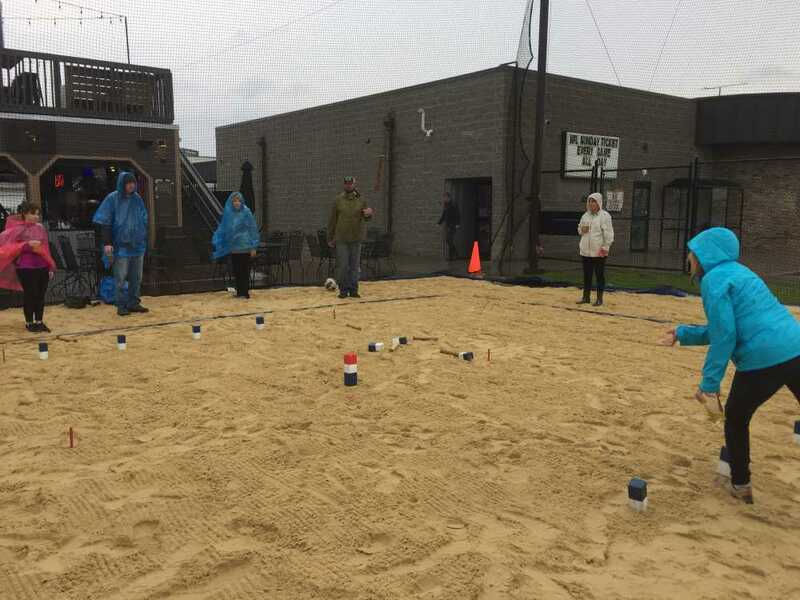 Grab the kids for a game of Kubb! It’s among unique things to do in Eau Claire with kids. The lawn game originated in Sweden. The basic premise is to knock down blocks of wood with a stick. It’s a fun, strategic game! A group of Wisconsinites introduced the game to Eau Claire and now the town hosts annual championships. Wagner’s Complex is a hub for indoor and outdoor family fun. Bring the gang for bowling, sand volleyball and beanbag games. And don’t forget to order a plate of cheese curds. Those over 21 should sample the Spotted Cow beer, the local’s favorite brew. Looking for adventure? 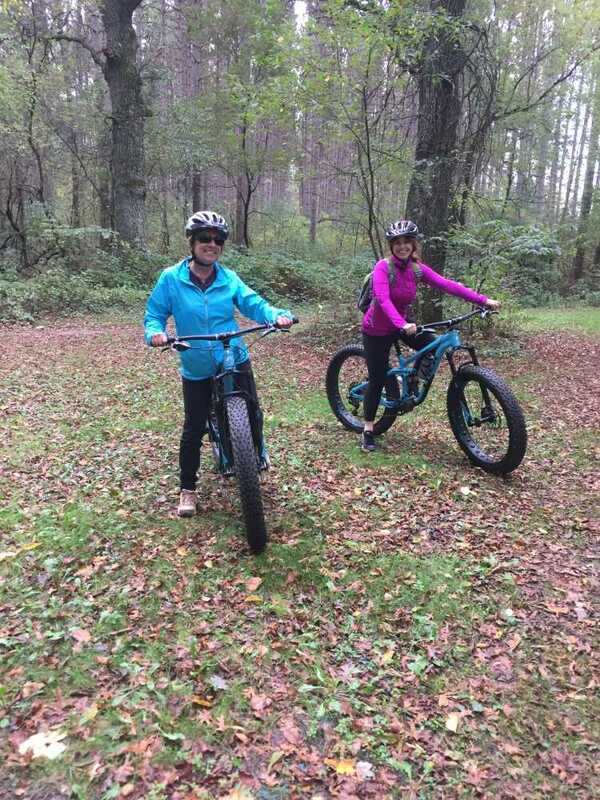 Explore the woods on a fat tire bike at Lowes Creek. The extra wide wheels make it fun and easy to ride over rocks and logs. The rugged bikes can traverse most terrain, including mud and snow. 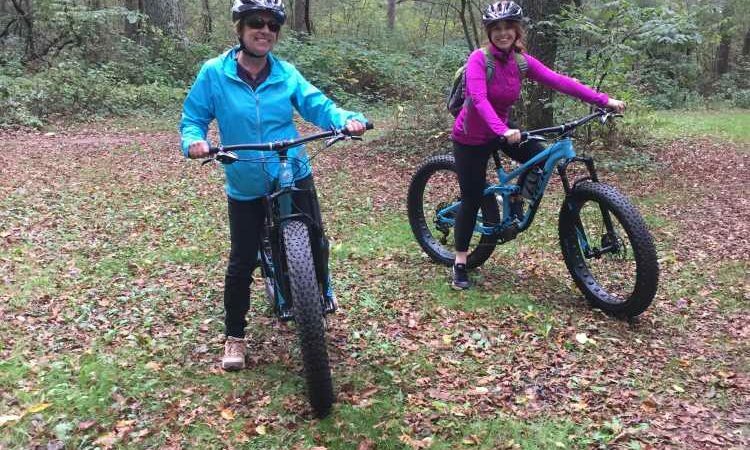 I have a mountain bike at home, but this was my first time riding a fat tire bike. The Chippewa Off Road Bike Association provided us with gear and a guide. The learning curve is fast and soon we were zipping through the woods. There are marked trails beginner, intermediate and expert cyclists. There are hiking trails for those who prefer to explore the woods on foot. This unique community space houses about 20 artisans and craftsmen. 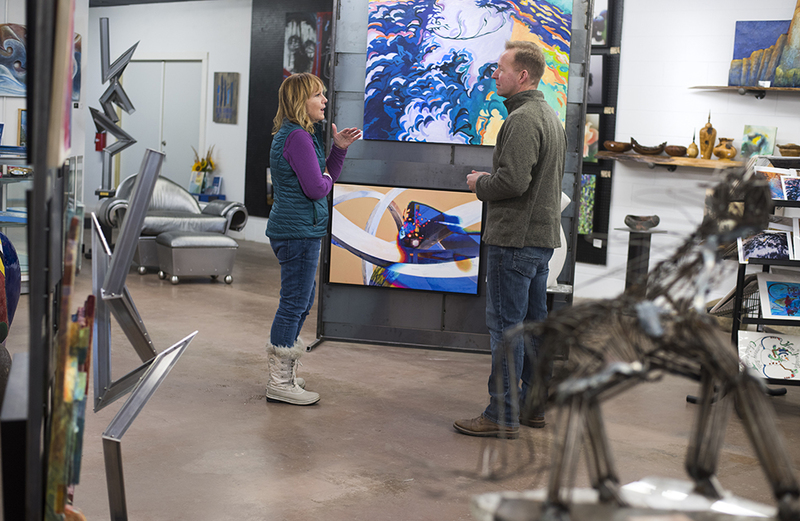 From their individual spaces, artists, glassblowers, jewelry makers, designers and others open their doors to the public. For example, Blue Canvas Art Studio offers workshops for kids and adults to create unique pieces of art. In addition, various events take place throughout the year. Located in Chippewa Valley, The Edge is a popular place to gather for a meal and watch sports on big screen TVs. Whether it’s game day or just family time, the lakeside venue is a relaxing place to spend an afternoon. It’s a casual place where you can play pool and darts. On weekends there’s a fish fry buffet. 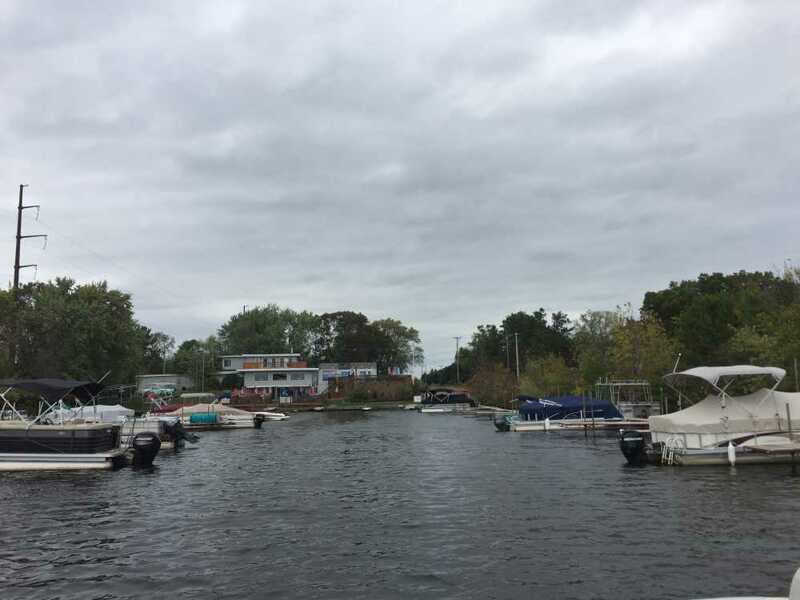 In warm seasons, pontoons are available to rent from a private vendor. On the mild, fall day we visited, we took a pontoon ride on the lake. With packed lunches from The Edge, we toured the lake. We learned that Lake Wissota is actually a reservoir, 75 feet at its deepest. It was formed by the construction of the Wissota Hydroelectric Dam on the Chippewa River 100 years ago.